Moynat’s Réjane Duet 23 might have caught your eye when it was featured a couple of weeks back, but if you’re all for the single-tone colour options in the original baby size, the Parisian-based luxury brand has got you covered. 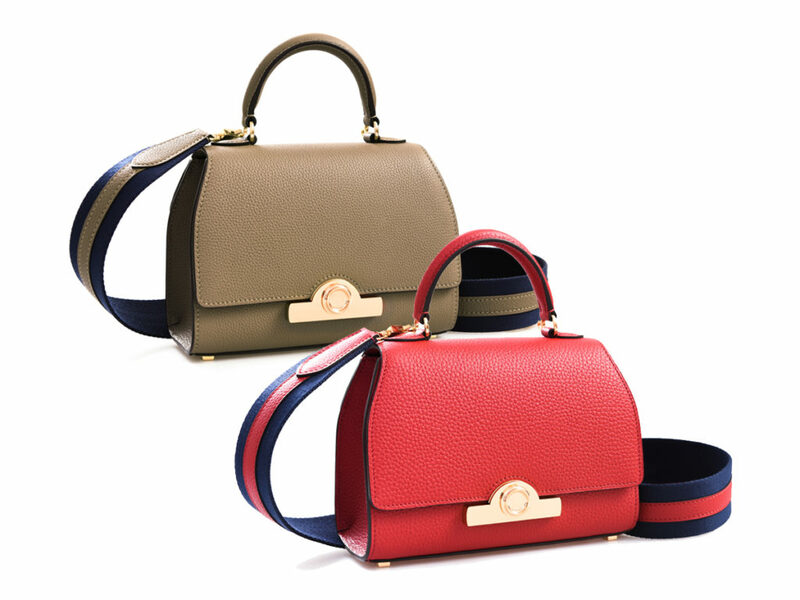 Presenting the Réjane Strap BB, a mini bag which comes in either Madder (a bright bold red) or Taupe and features a blue canvas strap with a tone-on-tone leather strip running down the middle. Made from Taurillon Blush, a bull calf leather that’s known for its strength (and one that holds its shape well), the bag’s exterior is also given a raised grain finish, allowing it to be resistant to scratches and everyday wear. Not only do these 2 colours come with the unique canvas/leather shoulder strap (which cannot be bought separately), they are also finished with the exclusive gold hardware detailing, one that gives it a luxurious touch and makes it a definite keeper for years to come. The Réjane Strap BB (SGD6700) is currently available at Moynat boutiques in Singapore. In other words, #happyshopping.